How do I load Windows 7 on my Clevo P750DM? It is not just a matter of putting your Windows CD in your drive and booting off it. You will need these special instructions to get this to work. Download this .PDF and follow these instructions. Here are some simple instructions on how to remove the Keyboard on your notebook and how to put RAM sticks in the slots under the Keyboard. I am getting a black screen during Windows 10 Pro x64 installation. What should I do? Please verify that your UEFI is enabled in the BIOS. This is required for the install to work! I would like to upgrade my notebooks BIOS to the latest version. How do I do this? In order to get the most recent BIOS for your notebook and to have help with the upgrade to this BIOS, please fill in a support request and one of our techs will contact you and give you a hand. I have a system with a TPM 2.0 module running Windows 7. For some reason my TPM Module will not function. What is the problem? In order for TPM 2.0 to function in Windows 7, your system must be in UEFI mode when you install Windows 7. If it is not, TPM 2.0 cannot function. Once you have put your system in UEFI mode and have installed Windows 7 please look at the following attachment to see how to activate your TPM 2.0 module. My WebCam is not working. I installed the drivers but nothing??? My Wireless Networking is not working. I installed the drivers but is see nothing??? You must power on the Wireless card by selecting Fn/F9. The wireless signal strength will then appear in the bottom right corner near the time. Where do I find drivers for my new VGA card? The drivers for all Video Cards are available in our Product Showroom. On the Orange Options Menu you will see a series of links. Please choose Drivers and you will be taken to the proper drivers for your notebook. Who do I contact to get some help with my Clevo/Sager Notebook upgrades? If you have any questions or would like some assistance with your upgrade, please fill in this Support Request Form and our Support team would be happy to assist you! 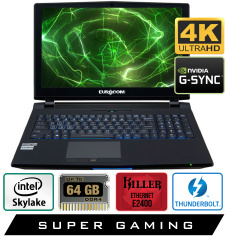 Will my new notebook with a 10 series video card function in Linux? Not at this time. Currently there are no Linux video drives for the new NVidia 10 Series cards (GTX 1060, GTX 1070 and GTX 1080). This is just a temporary problem as drivers will eventually come. In order for the Clevo P15xSM/SMA notebooks to use the GTX 1070 video card some small modifications are necessary to the frame of the notebook. These small mods will have no ill effect on the notebook. 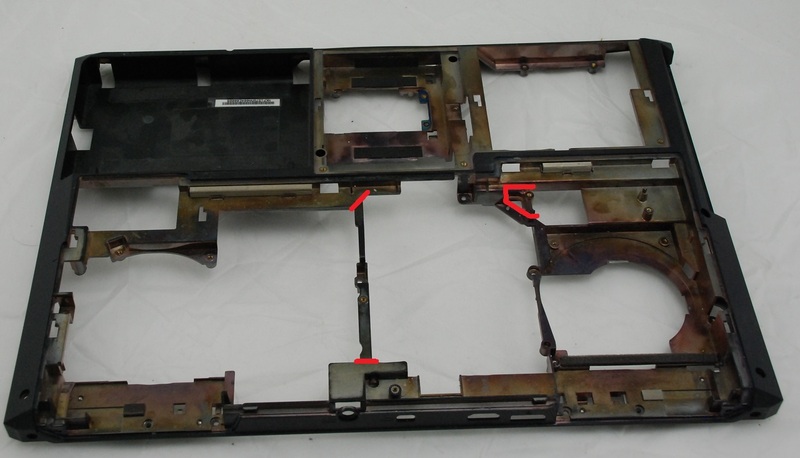 Two plastic support frames need to be removed with a Dremmel tool (or alike tool). Once these frames have been removed the card and heatsink will properly fit into the notebook and will be secured without any issues. If you would like more information please fill in a support request and more info and pictures can be provided. Can I use an M.2 Drive as my primary hard drive or do I need a standard Hard drive installed? If your notebook is equipped with an M.2 Hard Drive you can use it alone and as the primary drive in your notebook. There are no restriction on how it can be used. I want to install Linux Mint in my Eurocom Sky X9C/X7C or X4C. Are their any known issues? I want to install Linux Mint. Are their any known issues? Yes...If you load Linux Mint the IRST (Intel Rapid Storage Technology) will not run correctly. This will mean you cannot setup any type of RAID setup with your Hard Drives. If you are not interested in running any type of RAID array, this issue will not effect you. I’m getting a Windows 10 activation error saying that the license key has been used too many times. Any suggestions? 1. On the bottom of your system there will be a small colourful rectangular sticker that says “Windows 10 Pro for OEM software” I would suggest taking a picture of it with your phone or digital camera. 2. After you have a picture of it, from the standard windows desktop, Right click on the start button, now referred to as the flag, and select system. 6. Then press next and you should activate without issue. What are the Keyboard shortcuts on my Eurocom notebook. Are there any restriction when I load Linux/Ubuntu on my notebook?? All our system have been tested with Linux/Ubuntu and they do work properly. The only known restriction is you CANNOT use a Killer wireless card with Linux/Ubuntu.